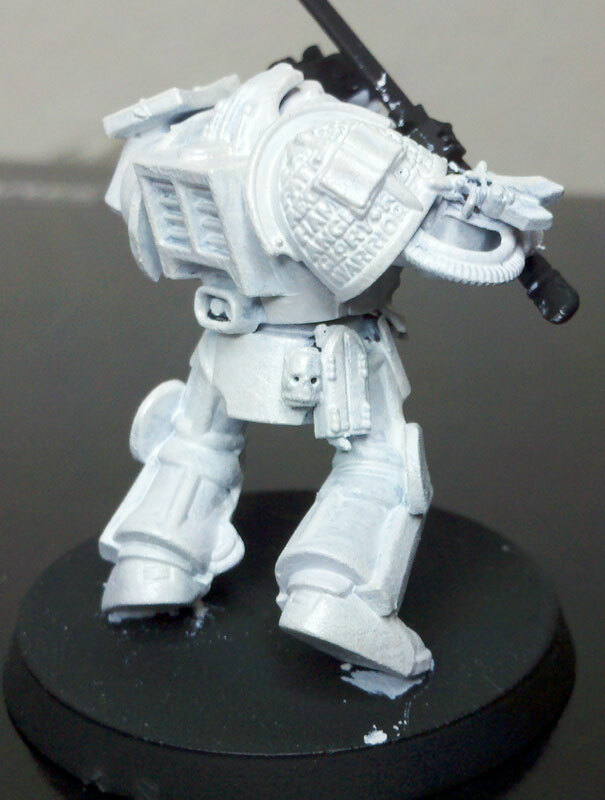 So at the moment I am currently painting my Paladin squad that runs with my Grey Knights Grand Master. I wanted to do something different, make them stand out a bit more compared to the other models, being the Grey Knights are so Silver in most paint jobs. So for the painting of my Paladins I decided to go for a pearlescent white, I wanted that metallic sheen to it. I hadnt seen anyone else really go about pulling it off or even trying it as of yet. The hardest part of it was trying to come up with a way to do so. I think I have gotten it figured out pretty well, So far ive gotten a base coat of skull white on over my primer, for my next layer i mixed together a metallic medium with white paint and got another layer on. That really made the white pop a lot more. Yet I still wasn't getting the shine I wanted, So my answer so far has been to dry brush a layer of the metallic medium and It has really seemed to help get that extra pearl like quality to it. My next decision is gonna have to come down to doing a decent and probably well placed wash to fill in some cracks and crevices before adding in detail paints. 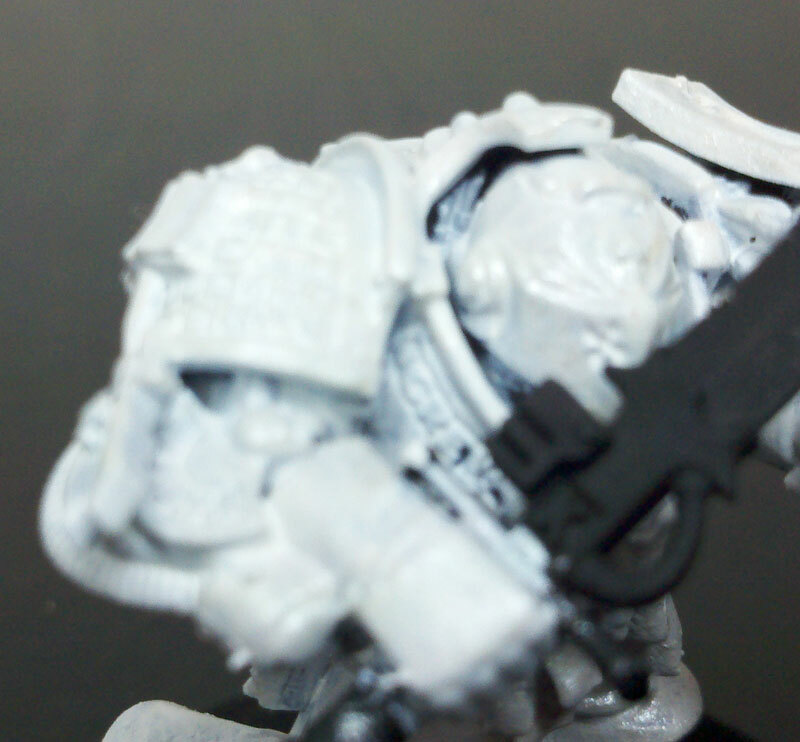 My dilemma at the moment then comes to mind and that is, to trim a lot of the details on the armor to go with a gold trim which I have been doing for my standard Grey Knights or to go with a silver. I was thinking of even doing a deep blue. I want a sort of traditional Fantasy based Paladin feel from them. Very nice! If you could i would like to see some pitctures on this post! Moved this to the correct section. The one thing about painting is, it difficult to give opions on something that you can not see. If you can post some pics it would help. However i do "accidently" discover some tricks or ways to get what your looking for. For example i was painting a BA SM and I dry brushed some bolt gun metal on red. It did not take away from the red as long as you do not apply too much. However it did add metal speck look to the red. If you add some water to the paint before you dry brush it on, it should get a little closer to what your looking for. Also try to mix a few colors together before applying it on. You will be amazed what you come up with before you destroy your painted model. Here are some WIP shots, the camera really isnt doing to great at picking up the pearl spec to the white which the naked eye catches well and some of the lighting just flattens it out all together. I can see some of what your talking about. It is a cool color. However i see some loss of detail. Would i be correct on that? However i can't wait too see the model fininshed. I like the pearlescent white a lot! I would try applying the wash before you dry brush the last coat of metallic medium. I agree though, you have lost a ton of detail. This will become even more evident when you apply a wash, since it will not have sharp edges/cracks to settle in. It appears you primered in black, is that right? If so, trying to make a black fig white is your biggest problem. The amount of layers of white you need to apply just to get to a true white is crazy! Try primering white. I use exclusively Duplicolor Sandable Auto Primer for my black and white. You can pick it up at Schucks/O'Riellys auto parts stores for 4.99 a can. AND, don't believe what any game store tells you, its WAY BETTER than any product made by any mini company. Keep up the good work, it looks great! Good catch, priming in white would help acheive your goal with a lighter color and prevent loss of detail. Be sure to keep posting your pics as you go. Your step by step will help others that want to paint pearlesent as well. Greyhand is this the only model that you have painted so far? thegamershaven wrote: I use exclusively Duplicolor Sandable Auto Primer for my black and white. You can pick it up at Schucks/O'Riellys auto parts stores for 4.99 a can. AND, don't believe what any game store tells you, its WAY BETTER than any product made by any mini company. Gamers Haven your my hero! i have been looking for decent non mini brand primer for a while and i was starting to think black did not exist anymore. i don't know about anyone else but paying $10 a can just because it has munchkin characters of says GW on it is retarded for primer. Yeah I primered in Black because thats What I had available and of course i layered it down before deciding on doing the pearl white. GO Me for planning ahead. When I hit it with the wash, it definately pulled down the pop on the white and showed the loss of detail due to the multiple coats. Will be sure to learn from this next time around. Thanks as well for the heads up on the primer, will be commiting that to memory. Got two of the 4 paladins touched up a bit after doing a wash, going to do a wash first on the other two before doing the metallic medium and see how it comes out. In the end i plan on making the loss of detail explained with a touch of fluff "BATTLE DAMAGE!!!" burn marks, melted armor, etc. or just break cleaner them back to the bare model. i think its break cleaner it might be break fluid. anyone want to chime in on this one. I beleive it is Brake fluid. Just let them soak for a day and the paint comes off in a goopy mess. After you clean it off with a good wash and dry, you should be back to square one. 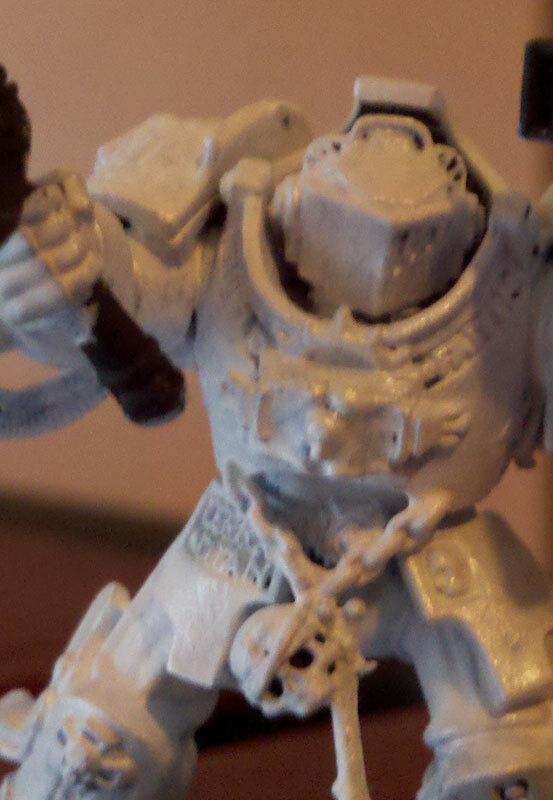 No harm will come to painting of your models. It is good to have a plan for you models. I usually paint one model from start to finish and keep track of what i did in order to repeat the method i used. If you mix colors, use a pallet you can keep (re-use). Do not clean the pallet when you have fininshed the model, but let the paint dry on the pallet. Once you are happy with the finished product you can then mix the color to the dry paint and match it to the dry color. It may end up a slightly off shade but you will be closer than eye balling it. Unless your some painting GURU.